Vintage Art Drawn Old Card. 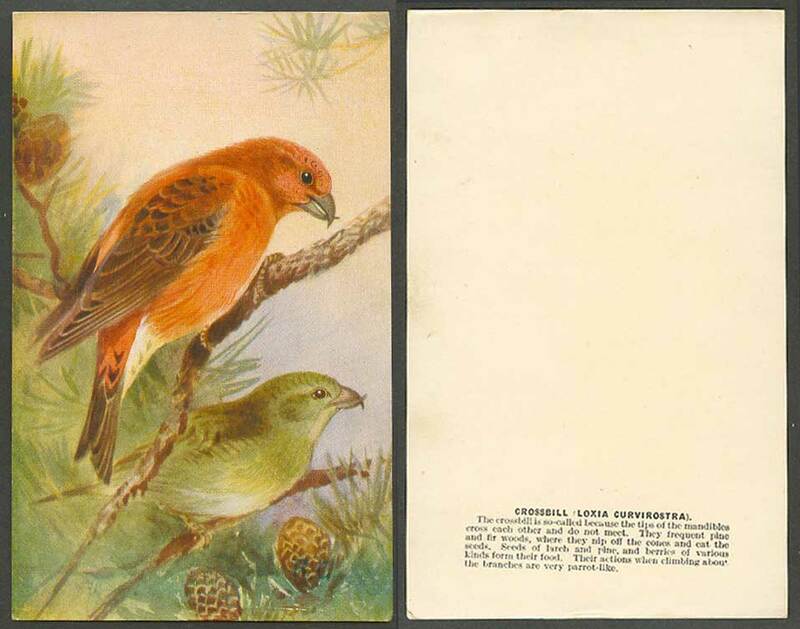 Crossbill Bird, Roland Green R.G. Artist Signed. Loxia Curvirostra, Finch Family. Pine cones.